Geoff Rhind is originally from Liverpool. He came to Ireland in the late 60's to work as a Colour Lithographic Proofer. 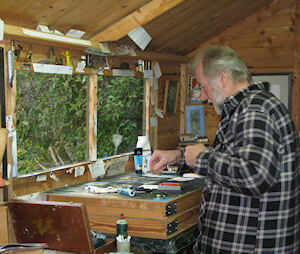 In 1970 he left the printing trade in order to paint full-time, which he has been doing for the last 39 years. 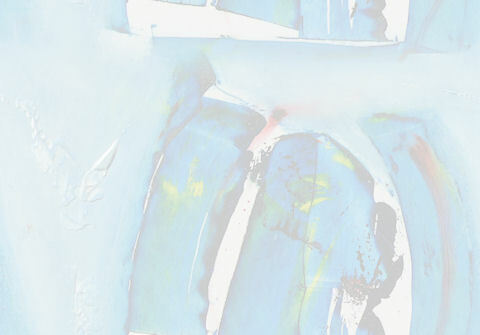 He has developed his own technique, using oil-based inks and Acrylics on board and canvas. He paints a wide range of styles from Landscapes to Abstracts. He has been an Arist member of The United Arts Club, Dublin for many years. He served on the Visual Arts committee of the Project Arts centre in the 1970's. He has exhibited in many galleries over the years, including the Royal Hibernian Academy and his paintings are in collections throughout the world. Geoff was a classmate of John Lennon from the age of 11 till 16, and took the famous photograph of John Lennon and the Quarrymen, John's first band, on July 6th 1957. Later that same day John met Paul McCartney for the first time and that was the beginning of The Beatles!